Fitness instructor shares the secret to health insurance savings. 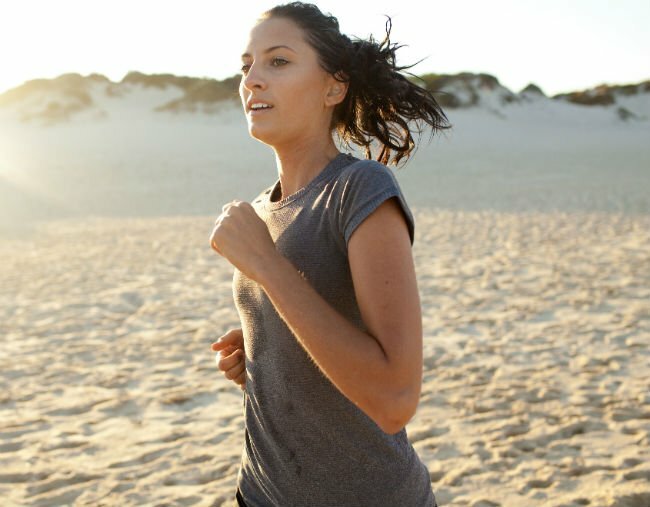 The smart girl’s guide to getting the most out of health benefits. ASAP. Note: HICAPS Go is currently available exclusively in Melbourne, with a national roll out to occur in 2018. New cities will be available and announced gradually as practitioners join the platform. Cat Woods is a fitness and health professional who teaches yoga, pilates and barre in Melbourne. Since you’ve bitten the bullet and invested in private health insurance, let’s make sure you’re using it to full advantage. After the age of 31, the cost of investing in private health increases by two percent every year that you don’t have it (that’s a 20 percent increase by age 40!). Whether you have the very basic cover in case you end up needing it in an emergency, or whether you’ve got top-level hospital and extras with all the bells and whistles, there are probably benefits you haven’t discovered. Make the call. You can do this. Did you sign up so long ago that you barely remember what level of cover you have and what – if any – extras are covered? Call. It’s 10 minutes of your day, and you may discover the remedial massage or physio treatment you’ve been dying for will be 60 percent cheaper. Go through all their questions and make sure you have the right policy in place. If your fund doesn’t have an affordable policy that meets your needs, then look elsewhere. Don’t be afraid to change your private health insurance provider – portability rules mean that you don’t need to serve the mandatory waiting period, and in addition, your fund is legally required to send you information on benefits, limitations, waiting periods and gaps. Cat Woods is a fitness and health professional. Image: Supplied. Know when your annual limits reset. Most annual limits reset on January 1 every year and your extras benefits don’t carry over (in the majority of cases), so try to use up whatever you can, while you can. Considering it’s party season and the height of pre-Christmas shopping, there’s every reason to use up all the osteopathy, myotherapy and physiotherapy benefits you can. You’ll need healthy, pain-free backs, hips and knees for all the parcel carrying, dancing on tabletops and unwrapping millions of gifts after all. Good riddance to the exhausting old process of keeping your receipt and finding time during your lunch break to stand in a queue to claim your benefits, or post off the receipt and wait over a week to get confirmation of the rebate. Thanks to HICAPS, you can find out exactly what you’ll pay and receive back from your fund before the appointment and you’ll be able to claim the amount on the spot on their new app. Sure, smartphones might be putting your shoulders into a permanent hunch and causing serious thumb pain due to Instagram addiction, but fortunately, phones do have health benefits. By downloading the HICAPS Go app, you can search for a local provider, get a quote and also claim and pay using your phone. With many providers, you can also book using the app. It&apos;s like Uber for health appointments - your out-of-pockets right in your pocket. Image: HICAPS Go. Working in the fitness industry, I find regular need for physiotherapy and massage appointments, as do my colleagues and the participants of my class (we work hard!). The cost of massage can vary from $70 through to $140 depending on where you go and what level of expertise is offered. Being able to find a massage therapist who is local and to know exactly what I have to pay upfront as well as what I can claim is enormous peace of mind. Rather than calling and asking (enormous phone bill, wasted hour), I can do a comparison via the HICAPS Go app and book accordingly, pain free. It&apos;s the new normal when it comes to speedy, easy and most importantly, smart, health admin. And one more thing to keep in mind with the app - at present HICAPS Go works for chiropractors, myotherapists, osteopaths, physiotherapists and participating health insurance providers with other services to be added in the near future. Download HICAPS Go on the App Store or Google Play. Every fund approaches relationships with hospitals and private services differently, but the major funds control around 85 percent of the market so their national reach is going to be the best. Some funds have preferred suppliers, which means the prices of particular procedures are capped and you will receive a greater rebate for choosing preferred practitioners. I recently experienced exactly how effective this is when quoted $800 for a dental service from one supplier (post-rebate) and then contacted a preferred supplier where I was quoted $350 for exactly the same procedure. Ask the fund when you call if they have these sort of partnerships. What&apos;s your top tip for saving time or money on health appointments? Give us your advice below. This content was created with thanks to our brand partner HICAPS Go.